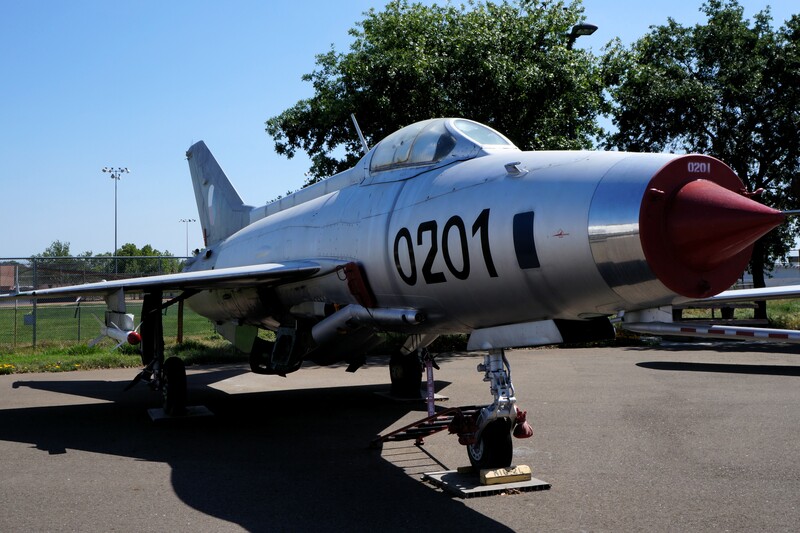 This indoor and outdoor collection displays fine examples of important USAF and USAAF (AAF) types as well as Navy and Coast Guard aircraft. The space part of the name is represented by spacecraft, both models and full size, as well as spacesuits and space food. This BAC Jet Provost is new to the museum and I saw no placard but it’s an odd duck here, being the only foreign aircraft except for the Migs. 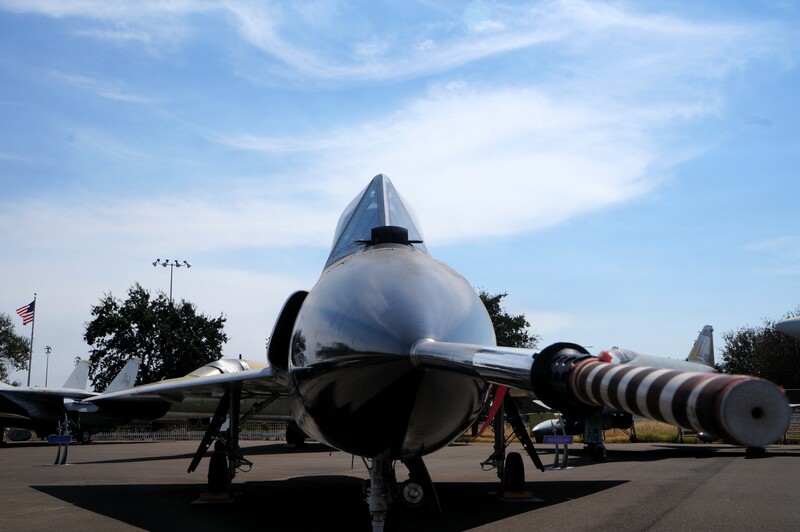 The Provost was a British jet trainer used by the Royal Air Force (RAF) from 1955 to 1993 and also was used by foreign air forces, though not the USA. 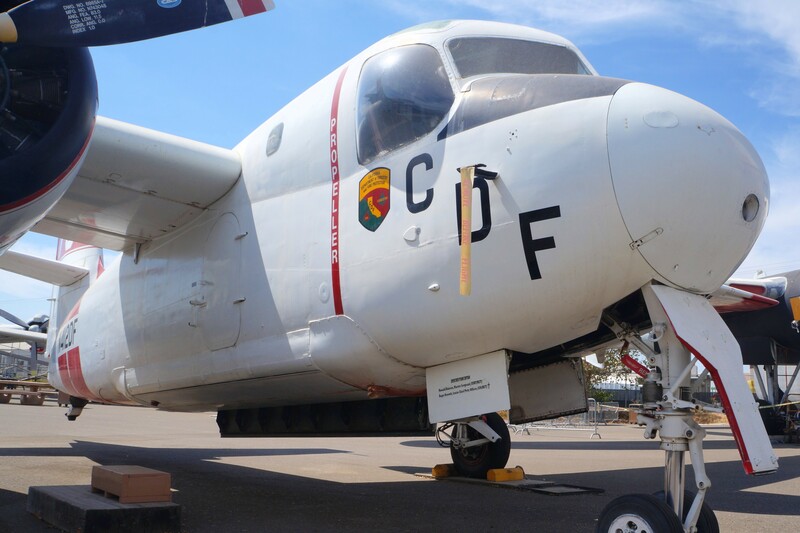 Here’s an early version of the S-2 Tracker Navy anti-submarine warfare (ASW) patrol bomber that was converted to an aircrew trainer under the designation TS-2A. 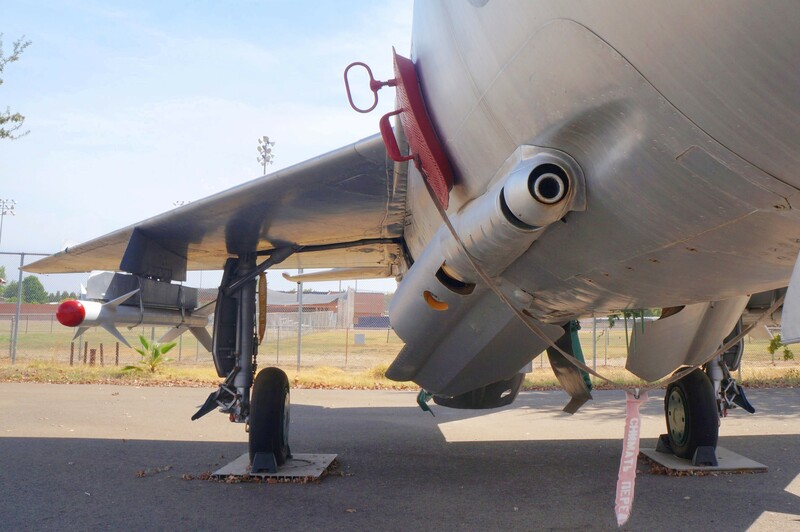 Using 1525 hp Wright Cyclone engines, the Tracker was capable of 265 mph (426 km/h) at a ceiling of 21,000 feet (6400m) and could range for 1,000 miles (6400km). 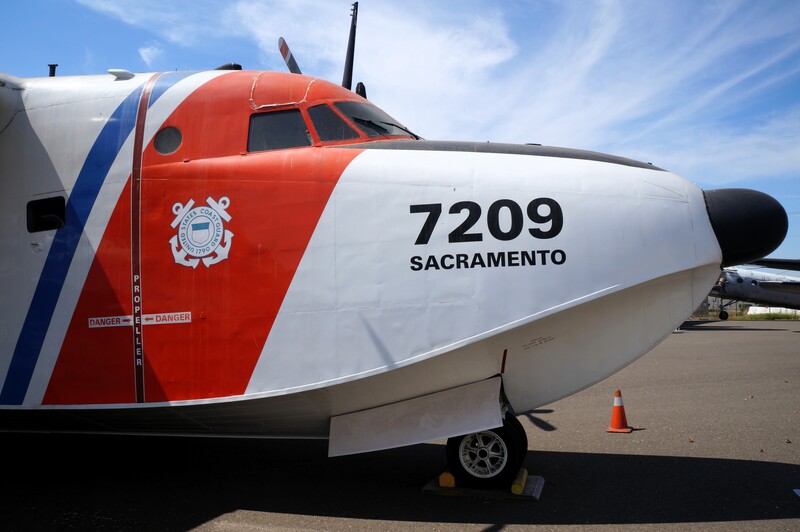 CAL FIRE, from the California Department of Forestry, operates a fleet of S-2Ts for forest fire suppression. 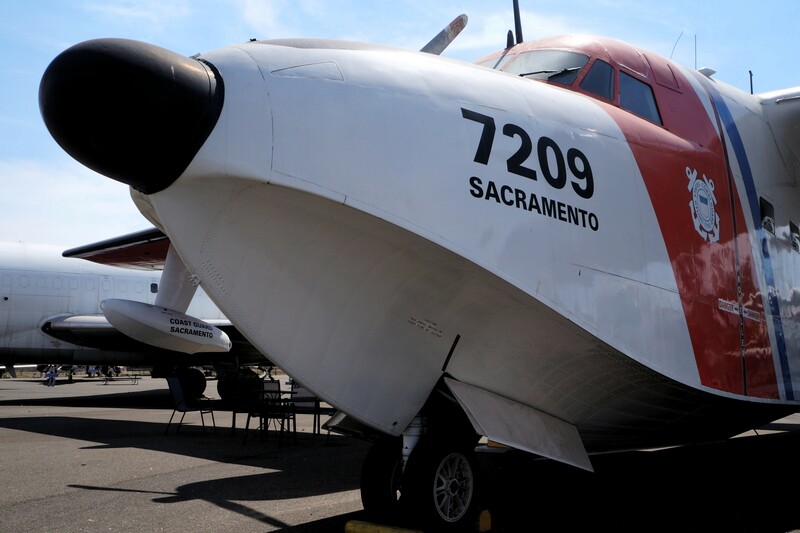 In fact this very aircraft fought fires until its second retirement. 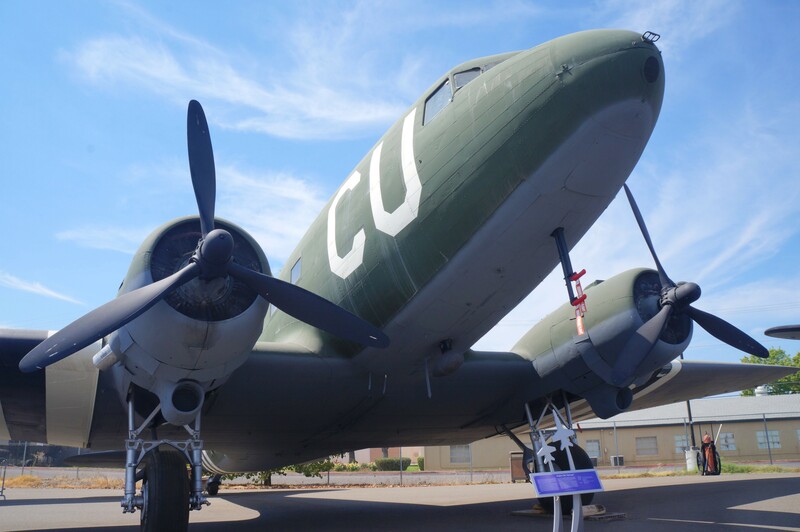 From the museum’s website: Based upon the Douglas DC-3 airliner, the C-53 was one of several models made on the commercial production lines for the Army Air Forces during the early years of the war. Externally similar to the C-47, but without a reinforced floor or the double doors for loading cargo, the aircraft was designed to carry paratroops and tow gliders. They would also see service, however, transporting wounded and carrying cargo. 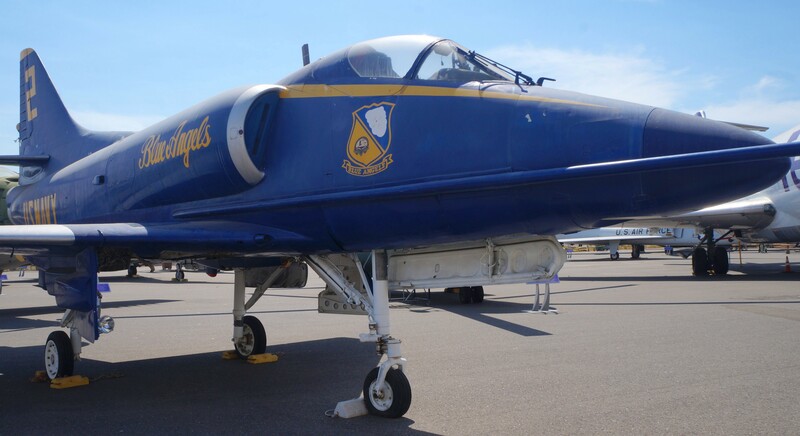 The museum’s A-4C Skyhawk is painted to match the Blue Angels flight demonstration team’s “…number “2” airplane, which flies the ‘right wing’ position. 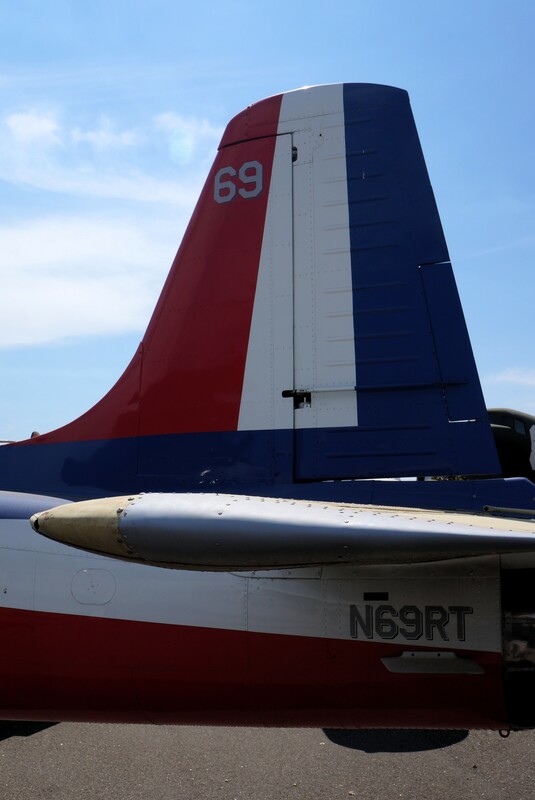 A Marine pilot, who earned Navy “Wings of Gold” by successfully graduating from the Navy’s flight training program, always flies the #2 aircraft”. 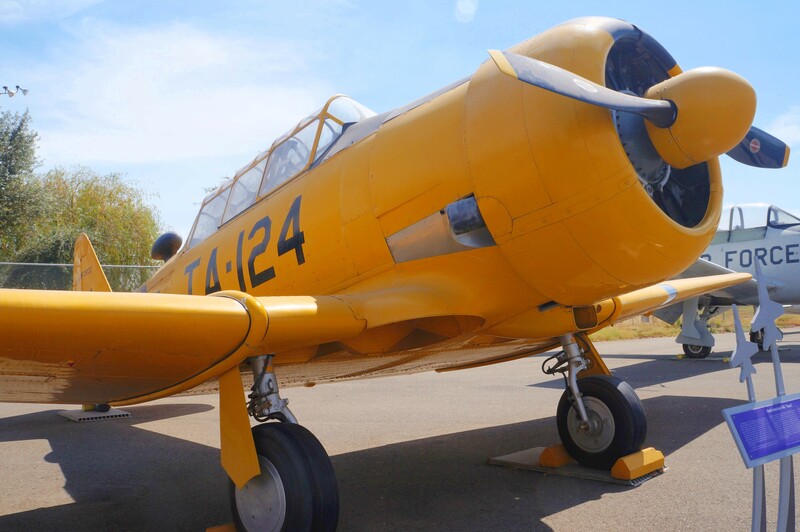 The 600 hp Texan helped US and allied pilots prepare to fly high performance aircraft. This is always the airplane modified and painted to double for the now vanished Mitsubishi A6M “Zero” fighter in every Hollywood war movie. 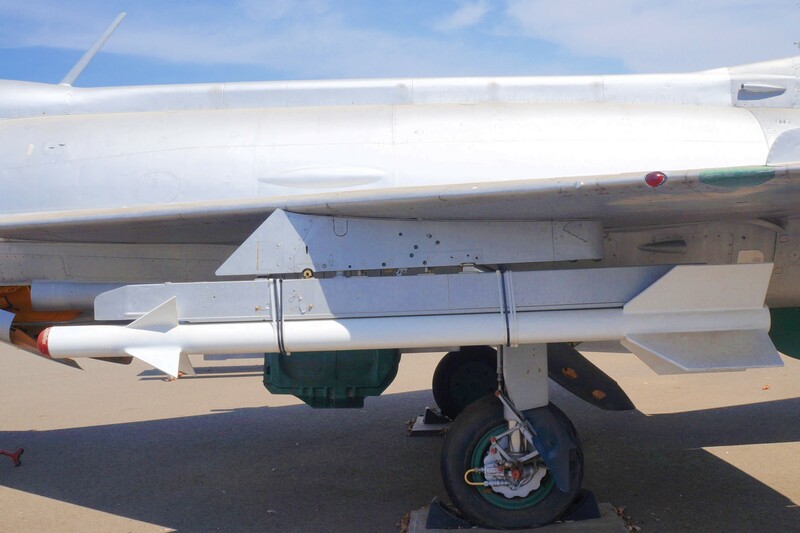 Two missiles were carried, or else 57mm rocket pods and this 30mm cannon which I believe to be the Nudelman-Rikhter NR-30, a slow firing but heavy, formidable gun. 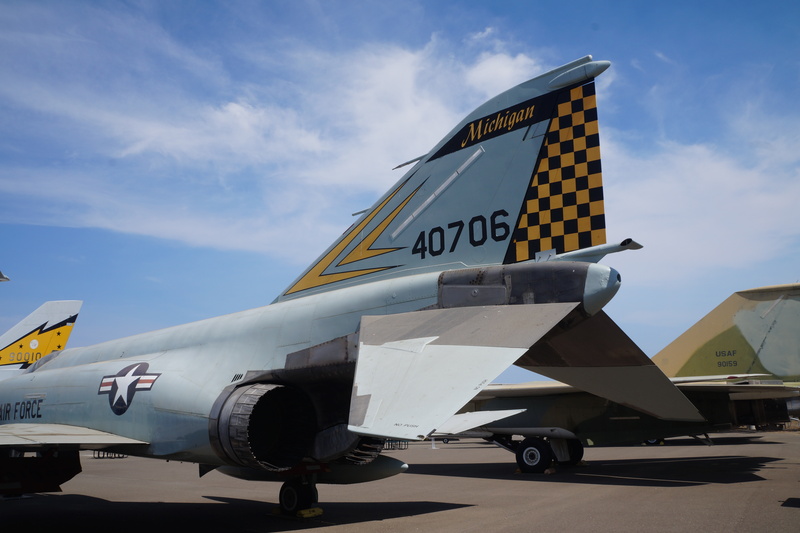 The boast of the long-serving Convair F-106 Delta Dart was performance: Speed: Maximum – Mach 2.4 at 40,000 ft, Mach 1.1 at Sea Level, .93 Mach Cruise. Ceiling: 56,000 ft. Combat radius: 735 miles. 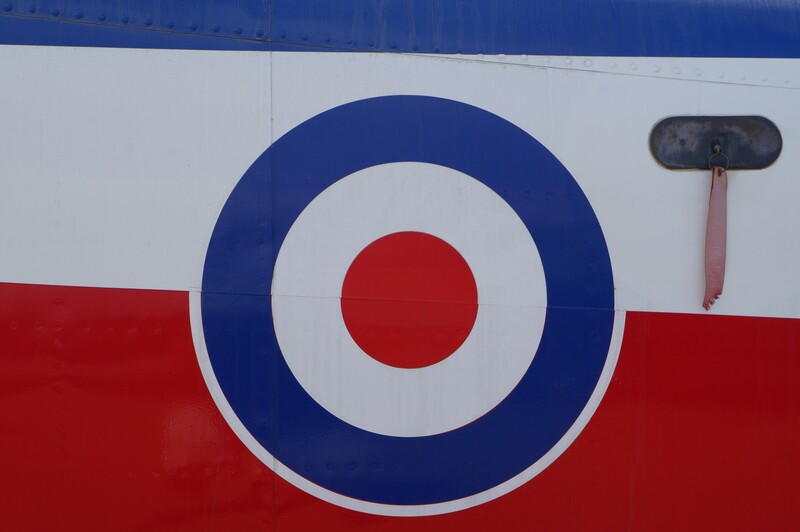 Armed with effective missiles and cannon, the Dart defended US and Canadian airspace from 1959 through to 1985. 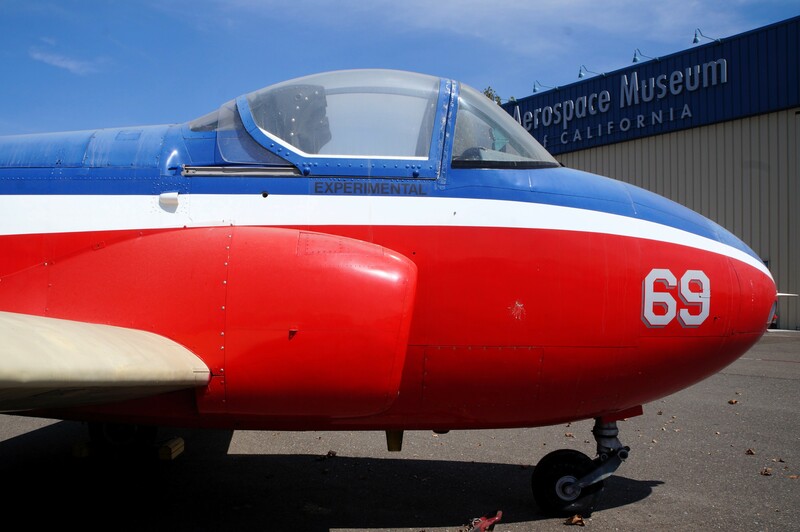 The Aerospace Museum of California is located at 3200 Freedom Park Dr, Sacramento, CA 95652, on the former McClellan Air Force Base near Sacramento. 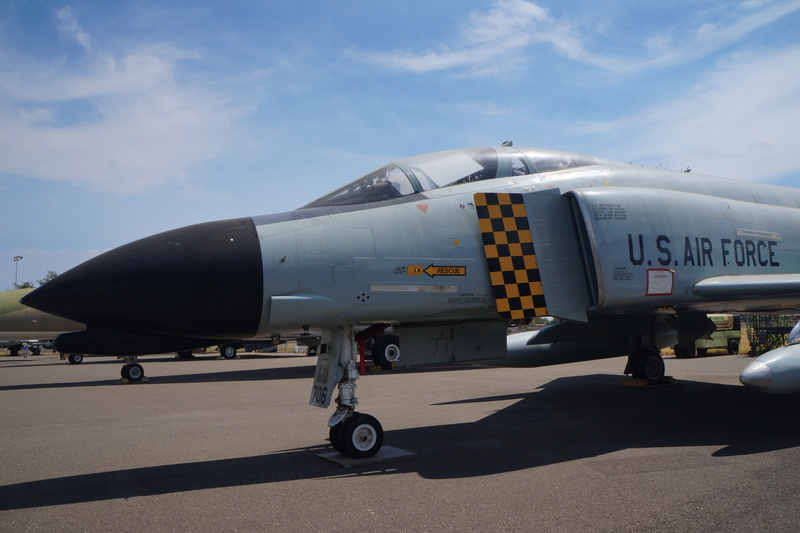 Open Tuesday-Sunday 10:00-5:00 (Summer), closed Monday; adult admission is $8, $6 for 65 or older, young children and active duty military free. Unless otherwise noted, text and images produced and copyrighted by todgermanica.com and are free for noncommercial use with attribution. Any advertisement you see here is chosen, placed and monetized by WordPress. I am not consulted nor compensated.